Goodreads: Rosetta doesn't want her new husband Jeremiah to enlist, but he joins up, hoping to make enough money that they'll be able to afford their own farm someday. Though she's always worked by her father’s side as the son he never had, now that Rosetta is a wife she's told her place is inside with the other women. But Rosetta decides her true place is with Jeremiah, no matter what that means, and to be with him she cuts off her hair, hems an old pair of his pants, and signs up as a Union soldier. Kritters Thoughts: Another historical fiction, but this one during the civil war and from the beginning, I was hooked! Newly married Rosetta can't stand to stay in a house on her in-laws property, so she decides to join her husband in the war. Rosetta was a fantastic character. She was likeable and it was easy to cheer her on in her endeavors, and maybe cringe too! Even though this story is told from a woman's perspective I still felt the grittiness of war and it didn't lack the real truths of what life was like on the front lines. If you love the Civil War time period and want to hear about how some women wanted to be a part of it, this is the book for you. 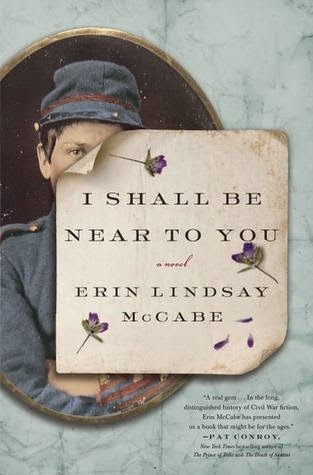 I had read a similar storyline for book club and none of us really loved it, so I will definitely be recommending this one to them as a great story about women taking roles in the Civil War. Rating: absolutely loved it and want a sequel!